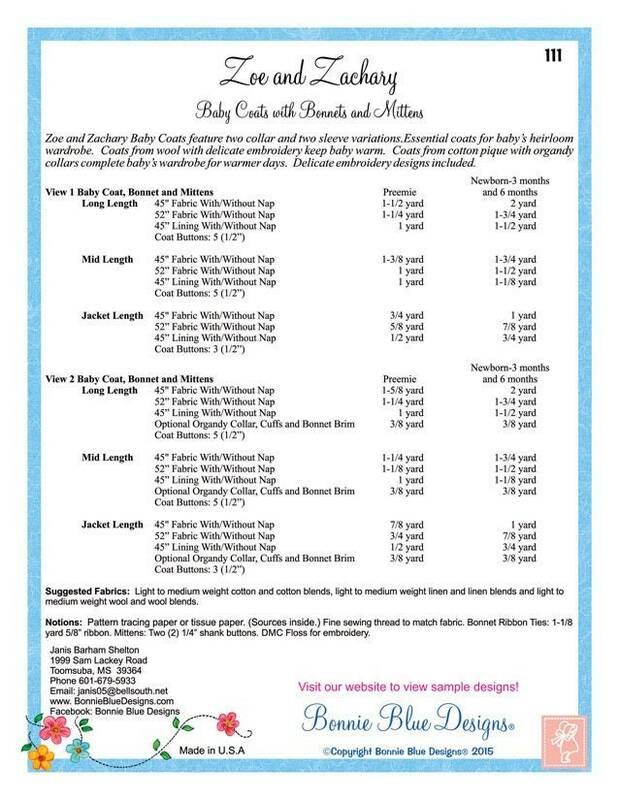 Zoe and Zachary Baby Coats feature two collar and two sleeve variations.Essential coats for baby's heirloom wardrobe. Coats from wool with delicate embroidery keep baby warm. 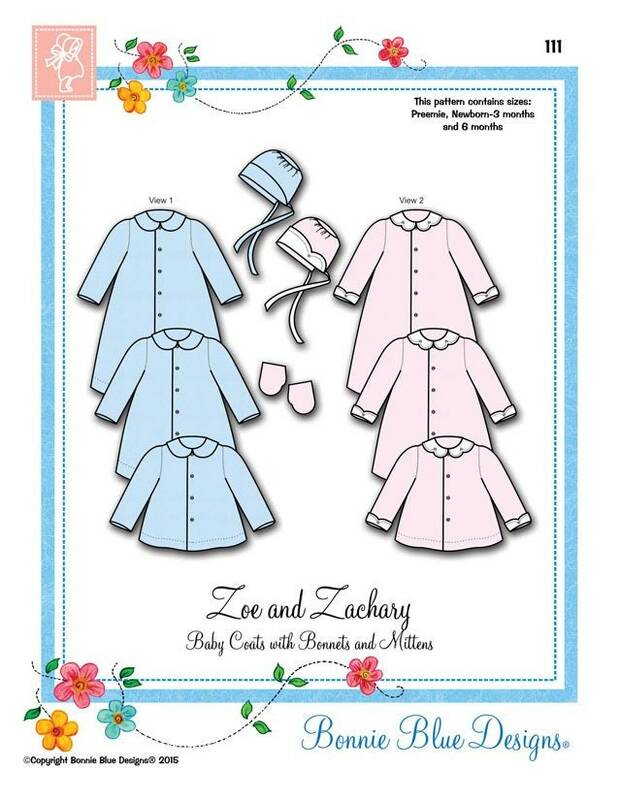 Coats from cotton pique with organdy collars complete baby's wardrobe for warmer days. Available Sizes: Preemie, Newborn-3months and 6 months in one package. Cute pattern. I'm happy with my purchase.